When I heard five years ago that former Mamamia beauty writer and author of Amazing Face, Zoë Foster Blake had launched her very own skincare line, I just knew she would be a goodie. After all, people in the position of trying/reviewing/writing about beauty prods get to experience the worst of the worst and the best of the best, so if you had the power to create your own it would be pretty much bang on what you yourself wanted to use… and the best brands come from personal need. Anyway, Foster Blake’s line is called Go-To, and is made of a collection of her essentials for a great skin that I absolutely love. I’m already such a huge fan of Go-To’s Face Hero and Exceptionoil, and can’t wait to finally get to try the rest of the much hyped AND much loved collection. 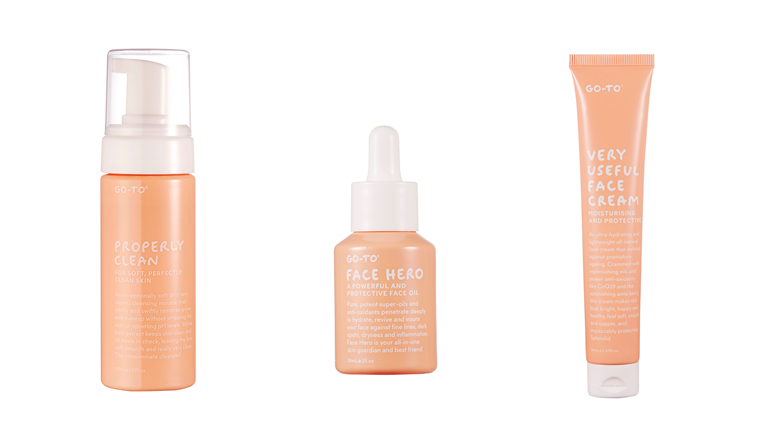 Go-To has been officially credited by Choose Cruelty Free Limited as a trusted cruelty-free company, and as such will accompany MECCA’s ever-growing Mindful Beauty Category. Go-To will be launching into all MECCA stores, as well as online at www.meccabeauty.co.nz in April, 2019.